I didn’t start writing until the past year or two and blown away how these younger authors bring stories that make your heart explode with feels, stay up all night, and then send all the fangirl squeals to them via email or social media. And today I have the exciting privilege of sharing what I know will be a fantastic read from an up and rising teen author. Check out this stunning cover releasing this September from Hosanna Emily AND enter the giveaway! The King’s blue flame quivers as a new fire arises, and Kadira must hold fast to the torch. It’s destiny; she’s a torch keeper. A fiery revolution sweeps across the kingdom of Érkeos, and each person must choose a side. Kadira, a girl set apart to serve the King, finds her city engulfed in emerald flames. Her blue eyes mark her as the enemy, and she flees from death. It stalks her anyway. When she meets Rekém, the Liberation warrior sent to kill her, she rebels against the King’s ways. Two armies collide; indecision isn’t an option. As hearts and lives hang in the balance, Kadira and Rekém could bring destruction or liberation to the entire kingdom. Are you intrigued? I know I totally am, and if you’re like me, Emily is graciously giving away a SIGNED copy! *squeals* Click the link below to enter via the entry form! Hosanna Emily is an ordinary girl following an extraordinary God. She’s a seeker of beauty in the midst of life, whether through creating emotion through ink on paper, dancing under the stars, using sign language in songs, or offering a hug. 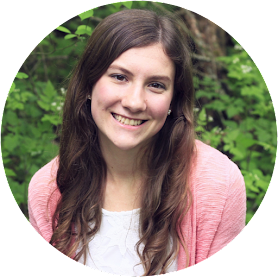 As a writer, Hosanna wants to showcase the glory of God to the world while reaching out to love others. She published a novella at age thirteen and continues to write stories and share her heart on her blog, Having a Heart Like His. She lives on a farm in the middle of nowhere with her family of 12.